For the first time ever, Iranian television has broadcast footage of a secret underground tunnel, stocked with missile and launcher units. Officials have said it is one of several such bases in the Islamic republic. Located at a depth of 500 meters under the mountains, the footage shows a very long tunnel which appears to be about 10 meters high. It is one of many missile bases in Iran, according to the Brigadier General Amir Ali Hajizadeh, commander of the Islamic Republic’s Revolutionary Guards’ aerospace division. 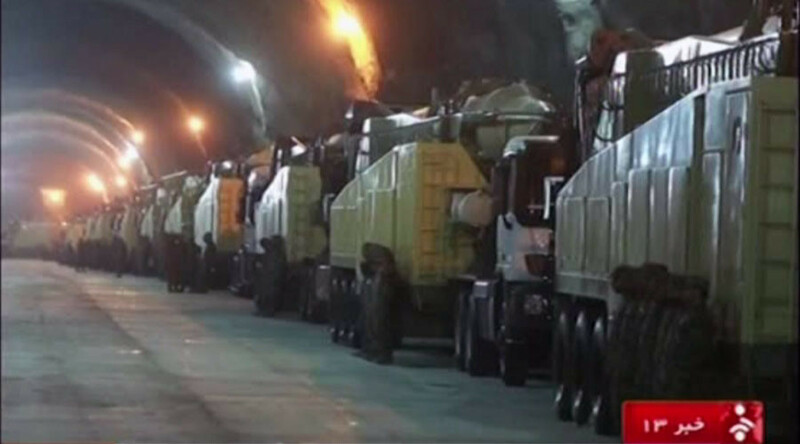 “The Islamic republic’s long-range missile bases are stationed and ready under the high mountains in all the country’s provinces and cities,” he said as quoted by the Guards’ website. “This is a sample of our massive missile bases,” he said, adding that “a new and advanced generation of long-range liquid and solid fuel missiles” will replace the current weapons in 2016. He issued a warning to anyone who might threaten Iran by suggesting that they had better “have a look at the Islamic republic’s army options under the table. Meanwhile, on Tuesday, the Iranian Parliament passed a nuclear deal brokered by the P5+1 group – the US, UK, France, China, Russia and Germany – in July. The agreement stipulates that Iran will partially curb its nuclear activities in return for the lifting of sanctions by Western states. However, the US has said multiple times that military options against Iran will be on the table for several years, despite the nuclear agreement. On Wednesday, the Iranian general apparently hinted that the show of military power had been a response to Western threats. “The missiles in various ranges are mounted on the launchers in all bases and ready to be launched,” he said as quoted by Press TV on Wednesday. They will be used if “enemies make a mistake,” he said. The footage appeared after Iran successfully tested three Emad (Pillar) surface-to-surface long-range missiles, according Iran’s state news agency on Sunday.